Alibaba founder and chairman Jack Ma and CEO Daniel Zhang. Little is known outside the company about Zhang, a soft-spoken accountant who goes under the epithet "Xiaoyaozi" at work; the name of a character from a Chinese martial arts novel literally meaning the "free and unfettered one". "We don't know much about [Zhang] even though he's been CEO for a while, because he's by nature a very low-key person, low profile. 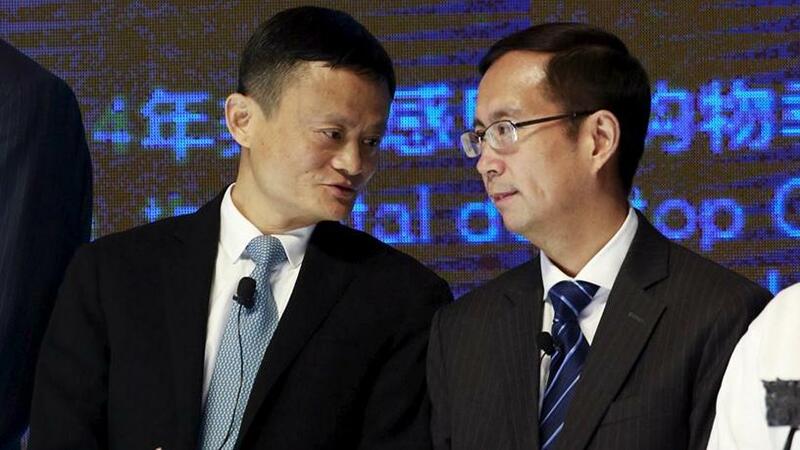 He's happy to not be in the limelight," said Duncan Clark, managing director of Beijing tech advisory BDA and author of "Alibaba: The House that Jack Built". His fingerprints are on some of the company's most successful moves: he was a key architect of Alibaba's "Singles Day", the 11 November event that has become the world's largest online shopping festival. The company has added around $200 billion to its market value since he became CEO, and has now posted nine straight quarters of revenue growth above 50% while investing in food delivery and offline retail, and pushing into Southeast Asia. Crucially, Zhang oversaw the growth of retail platform Tmall, which has grown to be one of the company's most significant revenue drivers, squaring off against major Chinese e-commerce rival JD.com. But he also inherits some challenges. Despite soaring sales, Alibaba's profit margins have been squeezed by rising competition and heavy investment to fend off rivals. The company's shares are down more than 10% this year after peaking in June. Zhang, like Ma, has worked hard to promote the company since its 2014 listing, making appearances at the World Economic Forum in Davos and other global events. But he doesn't have the same star power that founders in China's large tech companies hold, including Jack Ma, Baidu's Robin Li and Tencent's Pony Ma. Those three frequently headline tech conferences and government events together. Ma even did a Michael Jackson-themed dance routine at an Alibaba anniversary event last year, complete with a costume. Ma described Zhang as having "superb talent, business acumen and determined leadership".